Key Difference: North Goa is more popular as a tourist destination, while South Goa is preferred by people who want a more authentic Goan holiday. 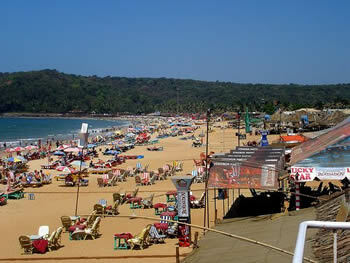 North Goa is particularly known for its famous beaches and for its many site seeing opportunities. South Goa is known for quiet more luxurious holidays. Goa is a popular tourist destination in India. It attracts visitors from both inside India and abroad. While many assume Goa to be a city, or at least speak of it as a city, it is in fact a state, albeit a small state, at least as compared to the other states of India. Unlike the rest of India which had been a British colony, Goa had been a Portuguese colony. The influence of it is seen throughout the state, but primarily in the cities, especially in Old Goa. The state was originally a union territory, which with Daman and Diu was annexed to India on 19 December 1961. It officially became a state on 30 May 1987. After which it was divided up into two districts for easier management. These were South Goa and North Goa. The headquarters of North Goa is Panjim, which is also the state capital. The headquarters of South Goa is Margao. Both of the cities are also landing points, from which most of the tourist destinations and beaches can be reached. North Goa is more popular as a tourist destination, while South Goa is preferred by people who want a more authentic Goan holiday. 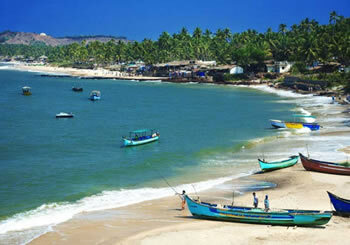 North Goa is particularly known for its famous beaches and for its many site seeing opportunities. Also, as North Goa houses Old Goa, the original Portuguese settlement, it also houses many exquisite examples of Baroque Architecture which can be seen in the various churches, cathedrals and basilicas, as well as heritage homes that have been preserved in the old ways. It is due to all of this that many tourists are attracted to North Goa. However, this in turn has led to many businesses popping up there catering to these tourists who arrive by the boat load. Hence, South Goa is rapidly gaining popularity among people who want a less cookie cutter holiday experience. Its beaches are often credited as being less crowded, less commercialized and in turn cleaner. However, as a tourist destination, North Goa also has a lot more to offer: more budget hotels, more restaurants with more variety, more bazaars with cheaper trinkets to buy, more site seeing options, more churches, more nightclubs, more parties, more casinos, and so much more. Yet, it is for all of these same reasons that some people prefer to stay away from North Goa, claiming it is too loud and there is too much happening at the same time. They instead look to South Goa for a more relaxing, peaceful and luxurious holiday, away from the hustle and bustle of North Goa.